I feel for the woman, (and woudln’t wish this on anyone), but I kind of hope her experience with bedbugs will turn out to reflect that of the majority of people who DON’T get resolution from one PCO visit and that the PCO will have to come back to visit. I think this Apartment Therapy website and this woman’s story will reach a lot of people and I want unenlightened people to know what it’s really like. 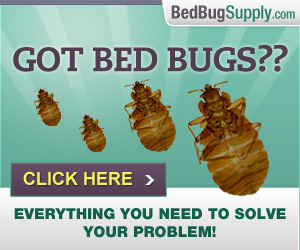 I’m so glad the woman posted all the steps she had to take to prepare for a bedbug treatment. They didn’t mention she will have to do it again when the PCO comes back. Previous post: Near-sighted paper celebrates dumpster diving outside NYU dorms. Oh, New York Times!